Here's a pair of unused SIP sepaker phones in their original factory carton. They have only been removed to test that they work OK. At that time it was discovered that the LCD display panels have failed - which I've seen before on this manufacturer's phones. It just affects the display, the underlying functionality is unaffected. In my testing I was able to follow the sequence given in the manual to set the IP address via DHCP (the displays are mostly blank so there's not much feedback, but the key sequences worked OK for me). Once I had an IP address assigned, I was able to access the HTTP web config page via a broswer which could then be used to perform the other config tasks (see photos for screen shots). 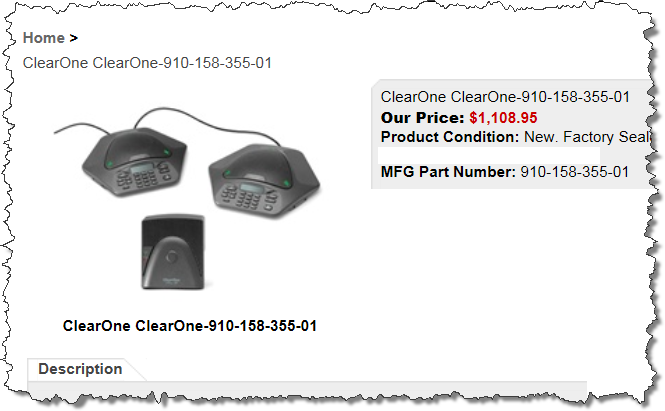 So if you are OK with this work-around and live without much being displayed mid-call on the LCD displays, here's a chance to acquire a SIP conferencing rig for a fraction of the normal price. Please only proceed with the purchase if you can handle these limitations, and if you have a suitable SIP server/account etc to allow you to make calls. 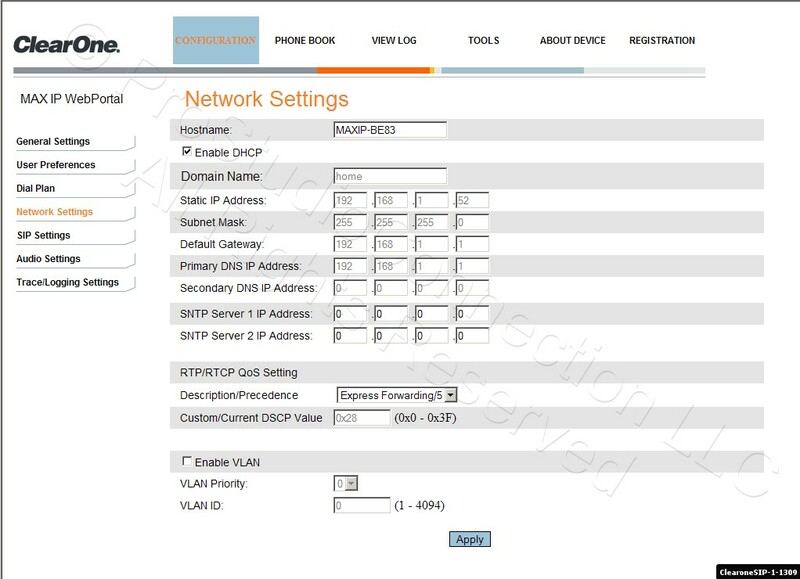 The phones will ship with the DHCP capability enabled so you shouldn't even need to go through the process that I went through - you would just need to look up the IP address assigned by your DHCP server and access that address using a browser. For the avoidance of doubt, this is a VoIP SIP phone system. It will not work on a regular analog phone line. 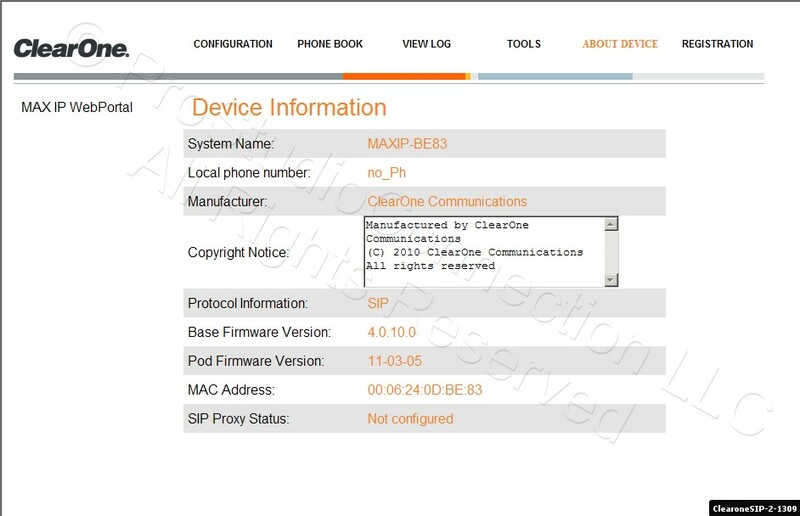 It requires a SIP server or compatible VoIP PABX. Final sale, no returns. The industry’s first fully expandable SIP-based tabletop conference phone, MAXAttach IP delivers unrivaled audio clarity and room coverage for your VoIP phone system. 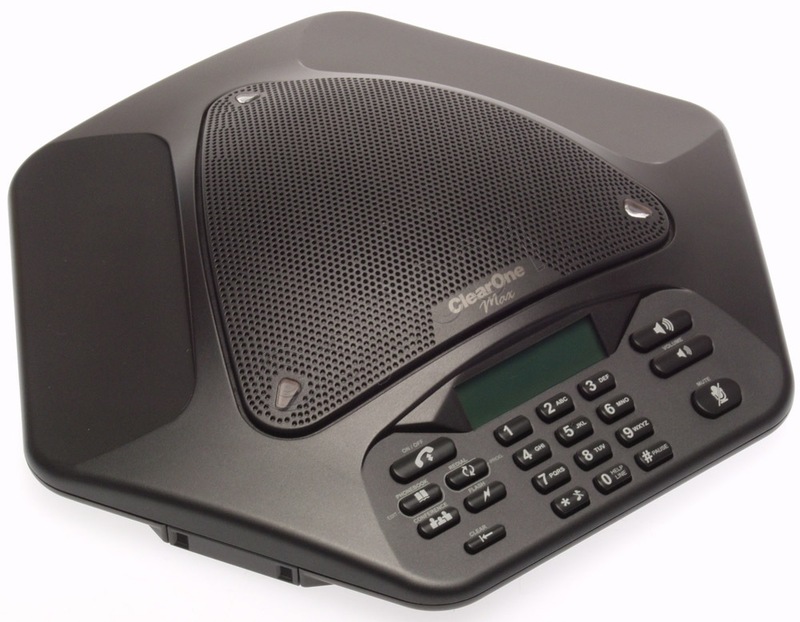 Sporting ClearOne’s legacy HDConference audio processing technology, the MAX IP system provides unparalleled sound quality for natural-sounding phone conferences. MAXAttach IP includes two phone units, with the ability to daisy-chain up to four phones, providing full coverage for larger conference rooms. With the use of the expansion base option, MAXAttach IP phones can even be used in separate rooms, in almost any combination, for a completely flexible solution. Multiple speakers, multiple microphones, and multiple dial pads are distributed throughout the room, or rooms, for unrivaled coverage. Customize your professional audio conferencing solution to fit your needs.